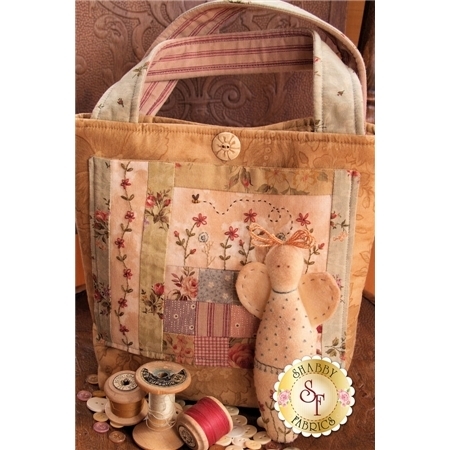 This darling bag designed by Little Green Cottage finishes to 10" x 8" x 6" and is perfect for all your sewing bits and pieces. Instructions and diagrams included. 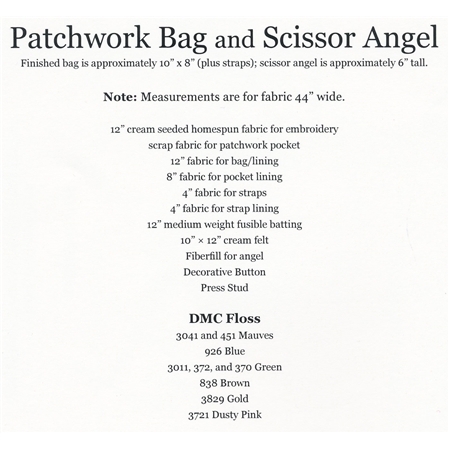 The small scissor angel is ideal for keeping your embroidery scissors close at hand and will protect the scissor ends.